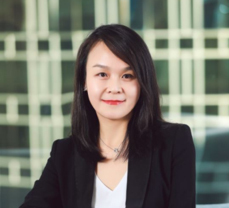 Nicole is the Managing Director of Refinitiv China, enabling professionals in the financial and risk management field to succeed through the provision of software, workflow solutions, content, analytics, and insight. In her 13 years with Refinitiv (Formerly the Financial & Risk business of Thomson Reuters), Nicole has held a number of leading and managing roles in China. Nicole is also serving concurrently the role as Global Business Director at Refinitiv, focusing on strategic business development with the most prestigious Chinese state-owned banks, commercial banks, enterprises, investment banks, fund houses, brokers, listed companies and government departments. Nicole had been named as the ‘CEO Circle Winner’ for three consecutive years for her outstanding performance in her role as Senior Account Manager. Nicole has more than 20 years of sales, management and strategy consulting experience in financial service and IT industries in China. Prior to her role at Refinitiv, Nicole was the Senior Client Representative at IBM, and had led a number of strategic and partnership projects. Nicole holds double honors degree in Law and Finance. As a mother of two boys, Nicole enjoys spending time and travelling with her family.